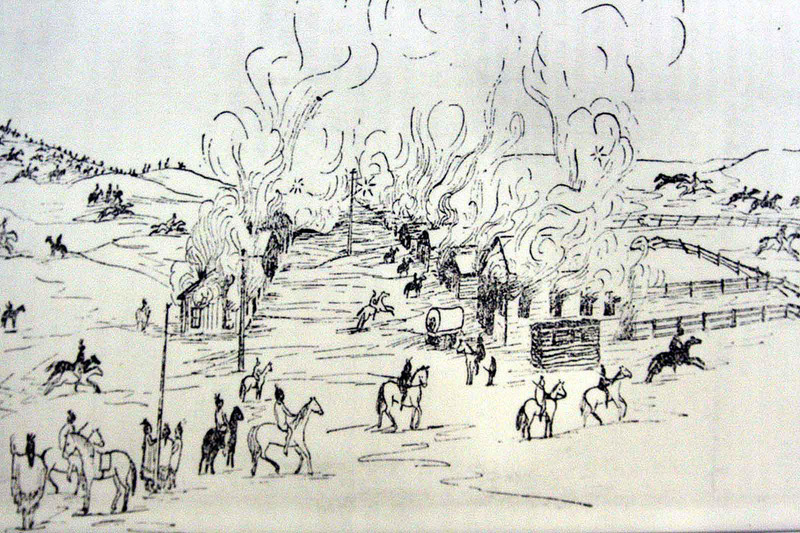 We know that Marshall traveled in a wagon train in the spring of 1866 first along the St. Joe Road, then the Great Platte River Road, and come into Denver on the Overland Trail. The St. Joe road can be approximated along any number of state highways on its way to Kearney Nebraska. Continuing west from there, settlers would travel along what was known as the Great Platte River Road, essentially Interstate 80 today. Today about where the confluence of the South and North Platte Rivers occur in western Nebraska, you head southwest on I-76 into Denver. It approximates the route the settlers would have taken along the South Platte River. Amanda came out in the fall. 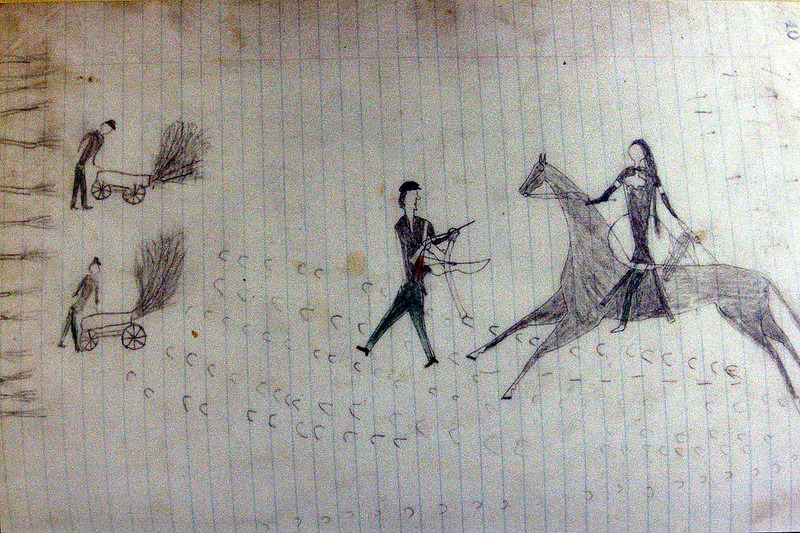 She might have taken a stagecoach (a very popular mode of transportation at the time) and possibly she took the same route as Marshall but there is a chance she might have taken a more direct route through northern Kansas coming into Denver, hence the map includes sites in Kansas roughly along the most common route which somewhat approximates I-70. Quite a few map sites include the exact information off of information signs along the roads and highways. The first time we did the “trail trip” was in late May of 2013. We did this in reverse sorta like the fifty niners heading home once they realized they had been hoodwinked on easily finding gold. The second time, my son Chris and I did the Overland and Great South Platte River Road before swinging north and then west through Northern Nebraska. 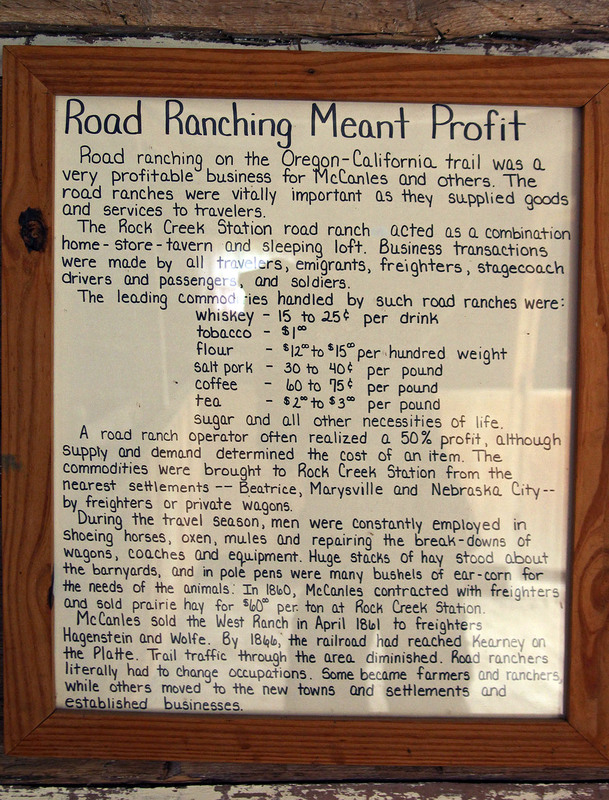 We returned south through Scottsbluff which although west of where Marshall and Amanda made their turn toward Denver is a fascinating “Wagon train stop”. The third time, JoAnn and I did this trip in the correct order beginning in St. Joe and ending in Denver during mid September of 2016. 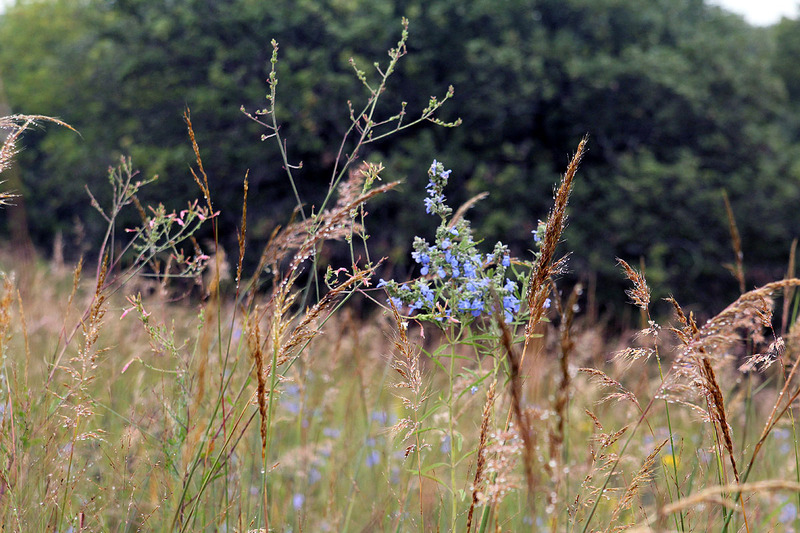 Tall grass is beautifully described at the Flint Hills Discovery Center in Manhattan Kansas and can be visited at the Konza Prairie. 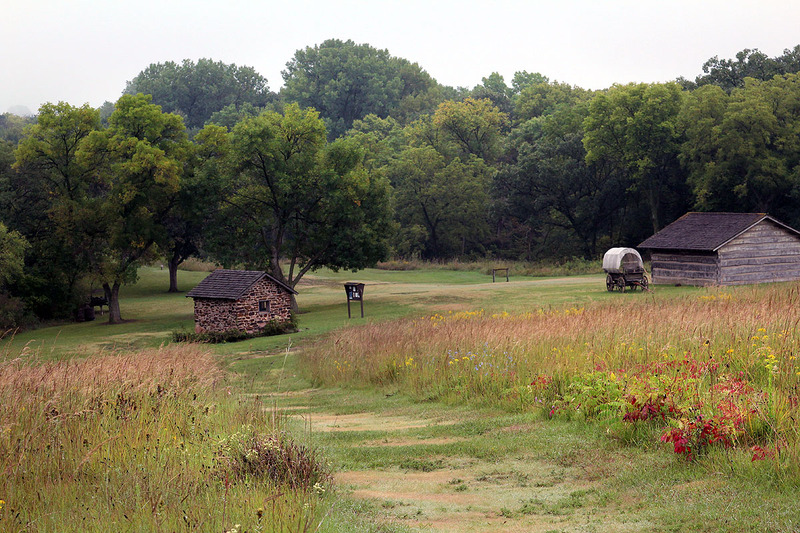 One of the characteristics of the dryer western landscapes traversed on these trails is the importance of the rivers. In the story we’re researching it is the Platte and the South Platte heading into Denver. These rivers were critical to the settlers heading west. They were also critical to the native Americans like the Pawnee and the bison who became casualties of our emigration to the west. 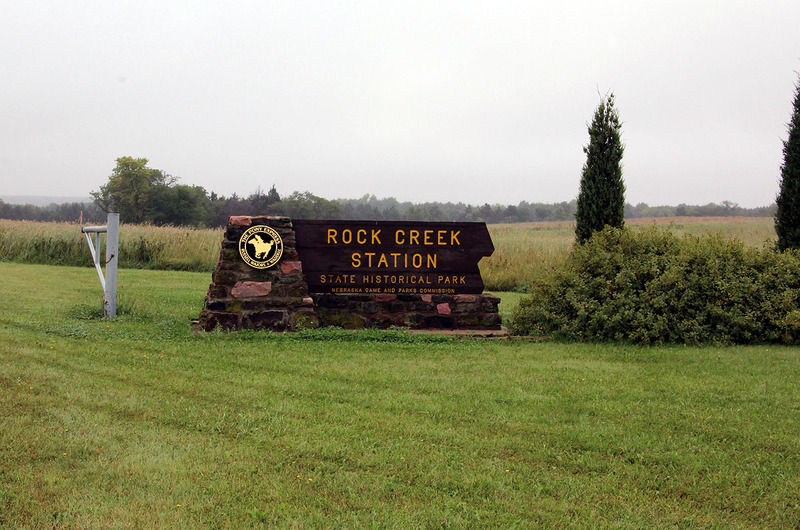 One optional route on your way to Rock Creek Station is to make a stop Hollenberg Pony Express Station just north of Hanover. The first time we traveled the wagon route we skipped Rock Creek Station; the second time we stopped and we’re still mad at ourselves for skipping it the first time. 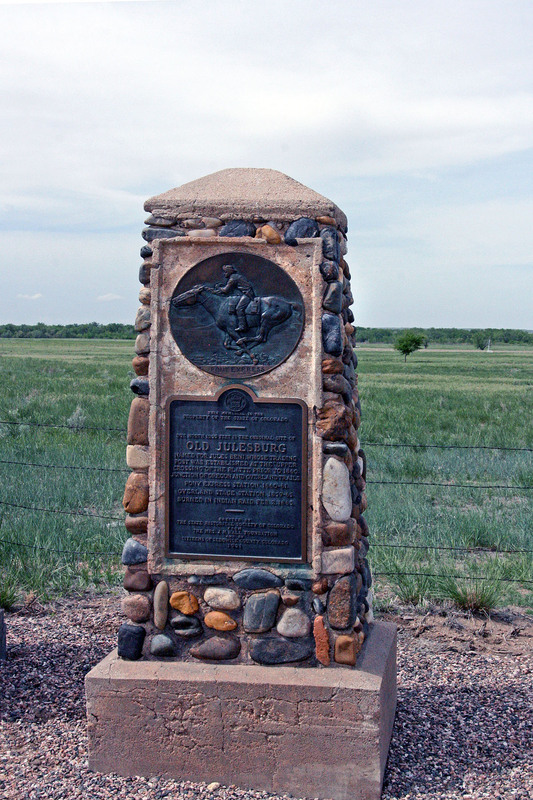 In addition to experiencing what it was like at a wagon station, we were introduced to the story of Wild Bill Hickok who wiped out the McCanles Gang at this site. 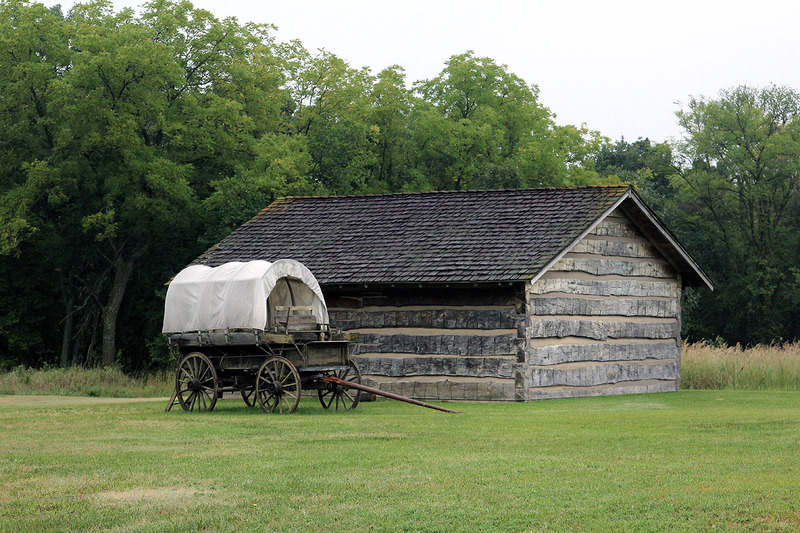 There are some well preserved wagon ruts on the site, covered wagons, and well presented buildings. 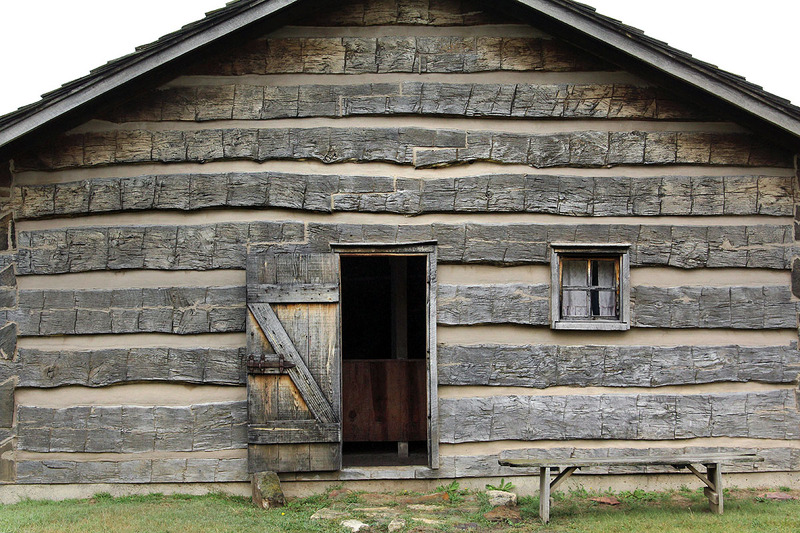 It all provides a nice insight into what a pioneer might encounter when stopping at one of these places. JoAnn and I were in St. Joseph Missouri on September 13, 2016 and late that day it started raining continuing into the night, and when we woke the next morning it was still raining. According to the weather reports St. Joe had more than ten inches of rain overnight, but about the time we were ready to head it it started tapering off. We took off toward Kearney Nebraska, crossing the Missouri River on the Pony Express Bridge. Emigrants didn’t have a bridge; they would wait two or three days to board a ferry boat to go across. 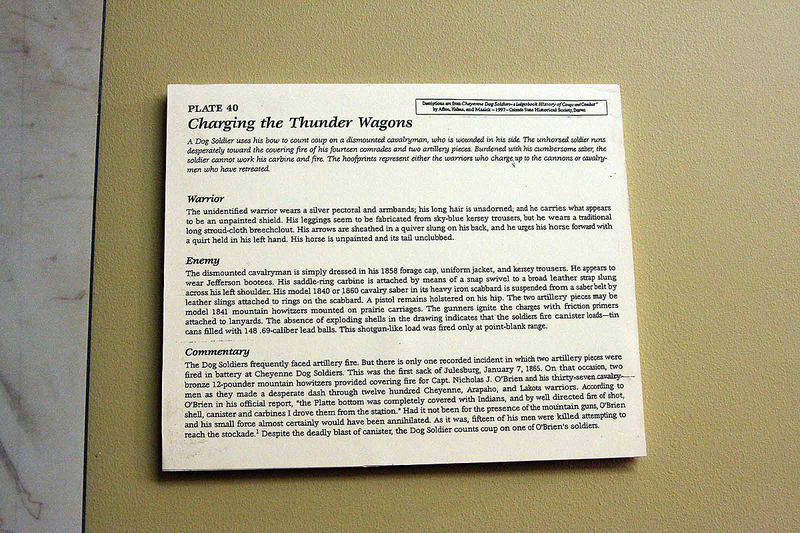 We drove west through Hiawatha and then Seneca toward Marysville, basically following the route of both the wagon trains and the Pony Express riders. Just past Marysville next to the Big Blue River is an interesting history revealing trail feature, a replica of a historic rope tow. Many lives had been lost while trying to float a wagon across this river here, many who died drowned. A rope tow was used to help guide wagons across the Big Blue River. sort of like a winch might be used today but it was more of a guidance tool without much pulling power. Crossing the Big Blue was particularly difficult during high water in the spring; maybe Marshall paid the $5.00 to help guide his wagon across? Living in Colorado, we tend to travel more into the mountain areas. Although we love the mountains, we’ve started traveling through various parts of Nebraska and Kansas while researching the Marshall and Amanda story. The first time was before the corn and wheat had sprouted in late March of 2008 so the landscape was pretty barren. 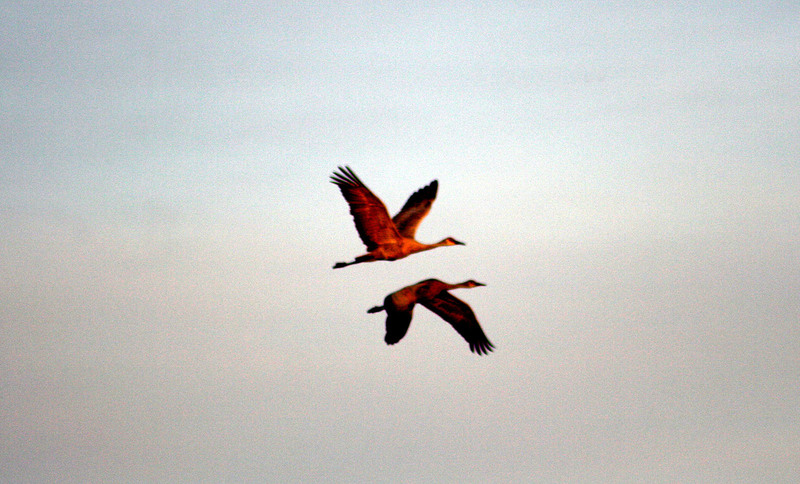 We made the trip at this time because we wanted to go see the sand-hill cranes. 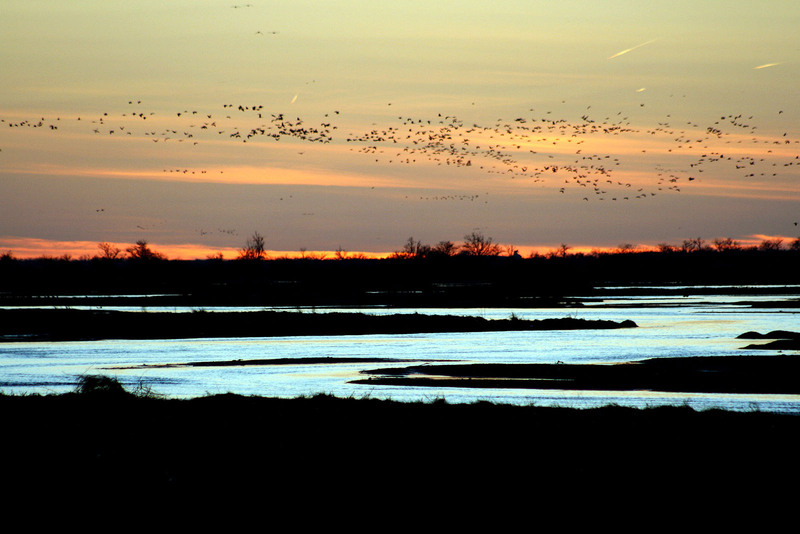 In the early spring of each year a few hundred thousand rest up and feed for a couple of weeks along this stretch of the Platte River before continuing their trip north. 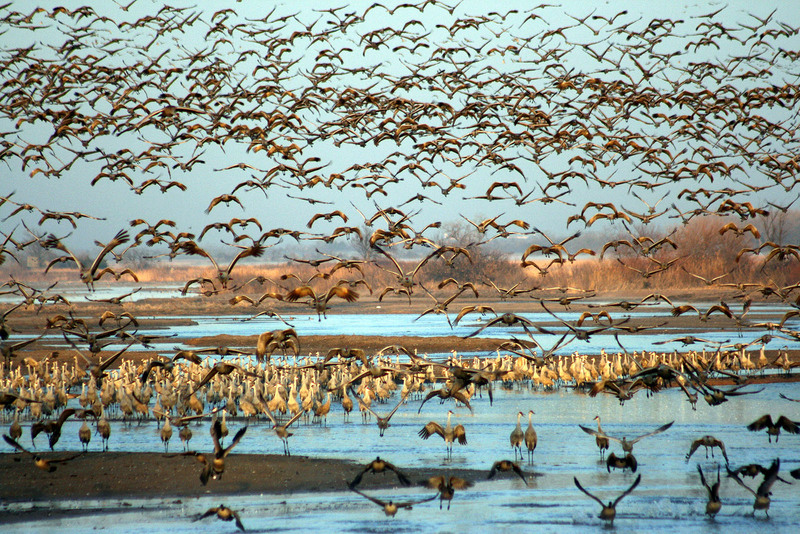 They arrive here from the gulf regions and then after resting and feeding they migrate to northern Canada and Alaska; some actually fly across the Bearing Strait to Siberia. 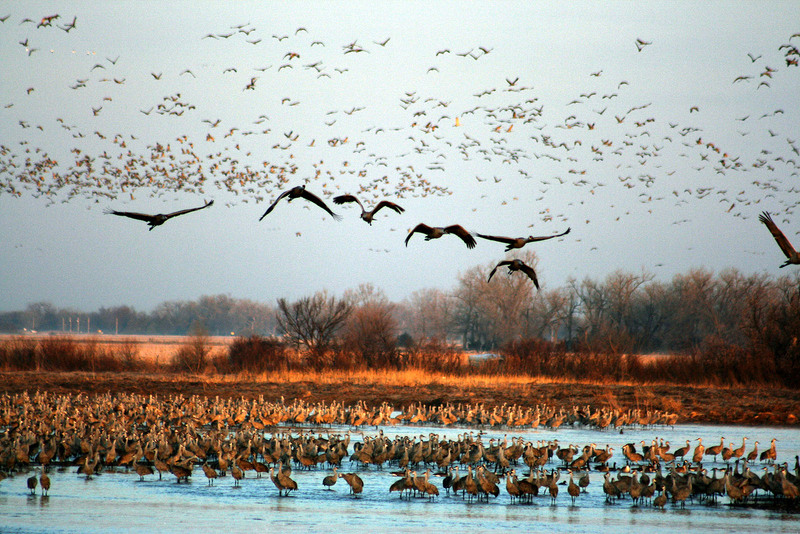 On their way back in the fall they make a shorter stop along the Platte before heading south for the winter. 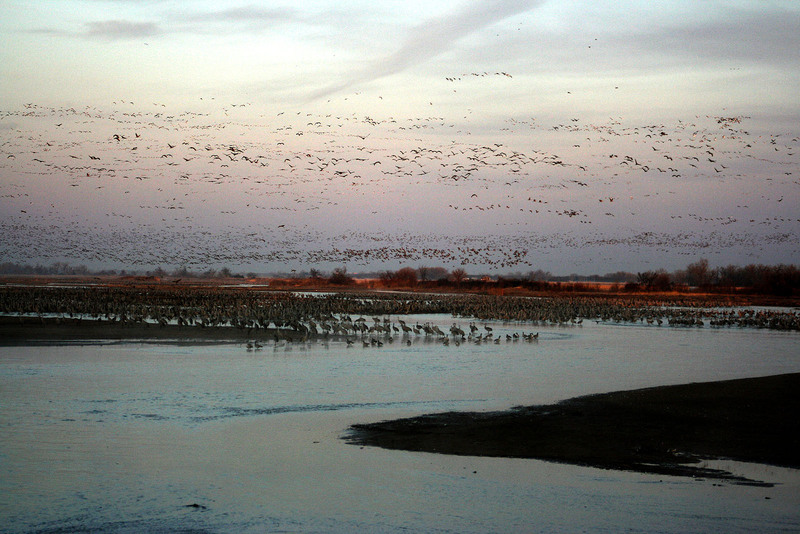 Our viewing target was about ten miles east and a little south of Kearney (generally pronounced “car-knee”) the Rowe Sanctuary on the south side of the Platte). 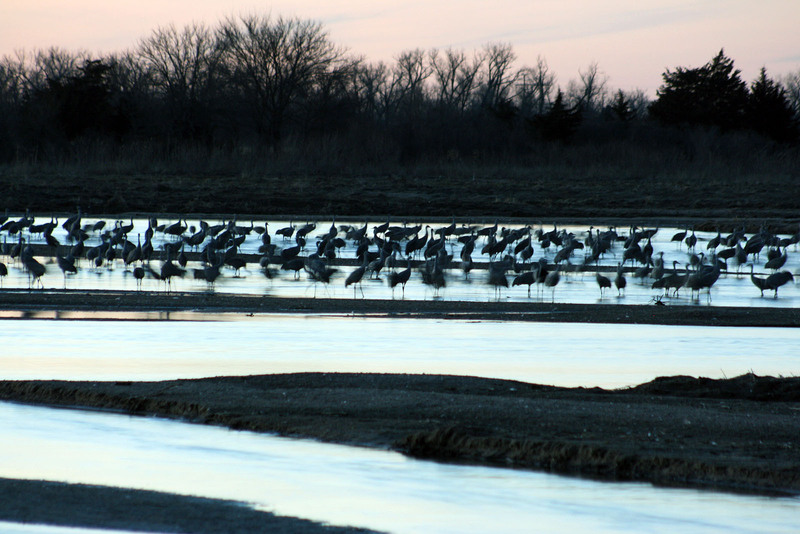 Our goal was to see the cranes arriving to the river in the evening and again in the very early morning when they hang out until something gets them all moving. The guides explain in a nice way that the thing that it will not be the flash on your camera that makes them take off in the morning so we all take steps to prevent that. Your group then quietly walks and arrives in a “blind” which is a building along the river edge with many windows. 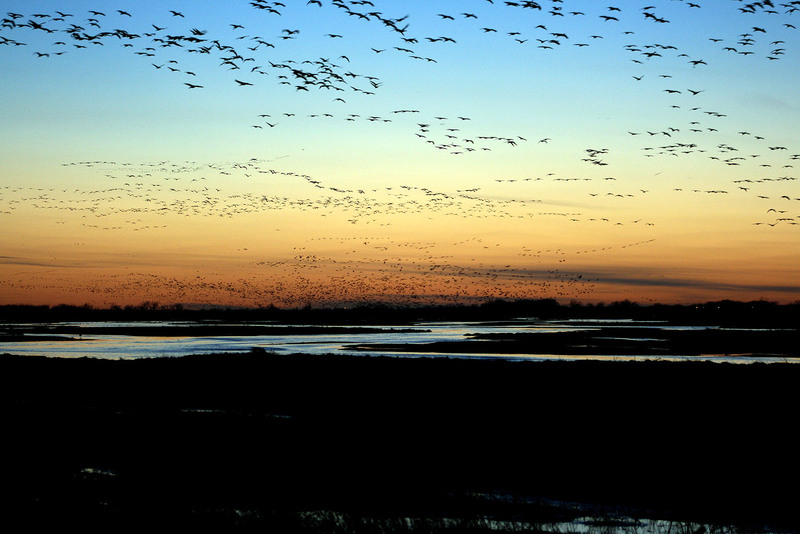 The sounds of thousands of cranes in the early morning is mesmerizing. 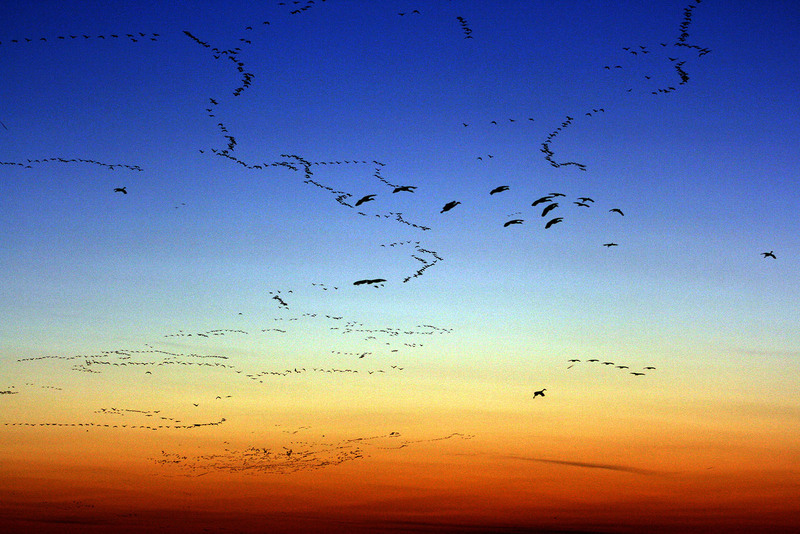 The cranes stand in the river at night as a predator can’t sneak up on them easily as the river in this stretch is wide and only a few inches deep in most places; If you arrive before dark they will soon start arriving, a few at a time, and then gradually the sky is full of incoming birds. 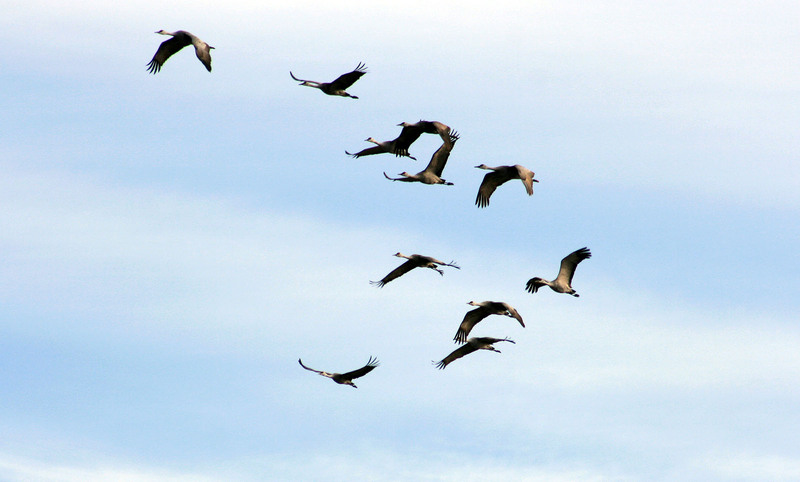 In the day time the cranes move about to various valley farm locations. The sanctuary has worked out a deal with the local farmers to leave a certain amount of corn in the ground during the harvest to ensure the birds have something to eat. It’s all special and Kearney has totally embraced this event. I don’t think there is a better place to gain a feel for the rather the wide and shallow Platte River, so important to the native American’s, bison, and emigrants going west. 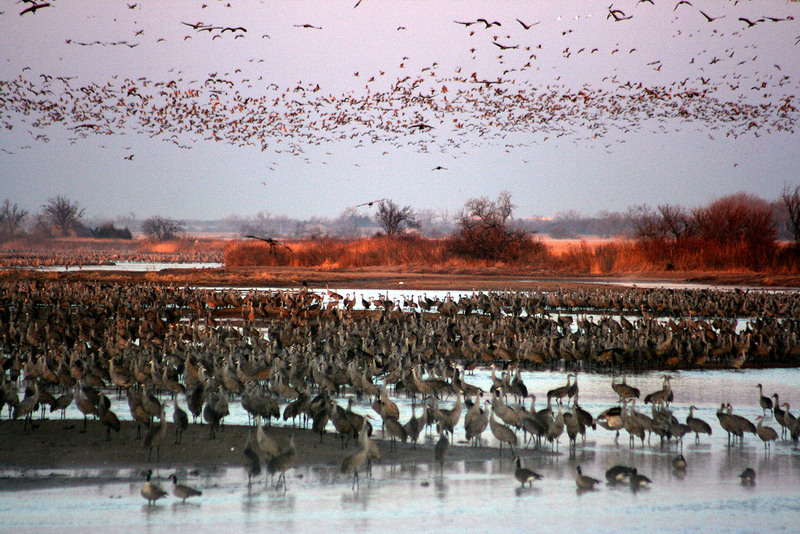 Its and it is also a nice place to meet the great people there who have done their part to improve the habitat and protection of these birds. When we were researching our visit, I noticed that you could rent a private blind that is up in the air via a ladder where you spend the night. JoAnn did some more checking and learned that these “hotel rooms” are only about four feet high and the bathroom consist of a bucket that you turn in after you are escorted out in the morning. It became clear to me that this was not going to happen when I heard JoAnn plainly say to the nice lady on the other end of the phone, “We’re not going to be doing that“. What we now know is these blinds are specially set up more for serious photographers. 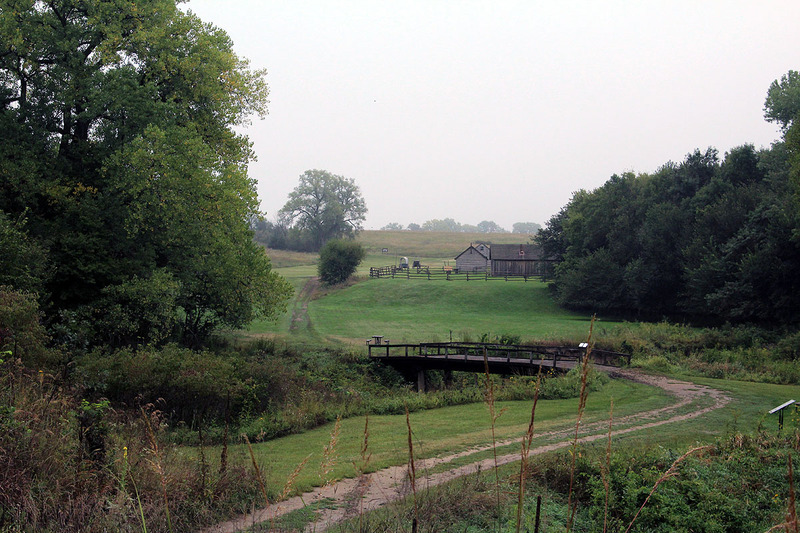 When doing historical research and making stops, Kearney is a logical stopping point for us. 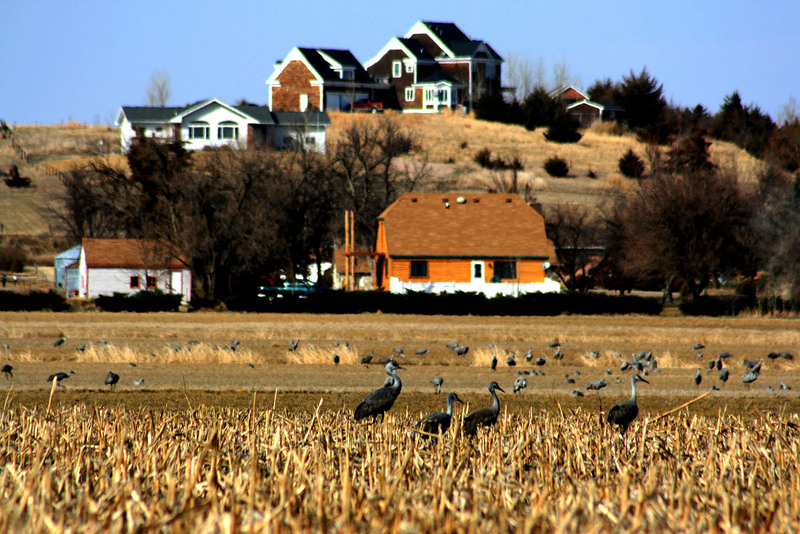 In addition to the Sandhill Crane migration that happens twice a year, Kearney is where the settlers gathered before heading west. 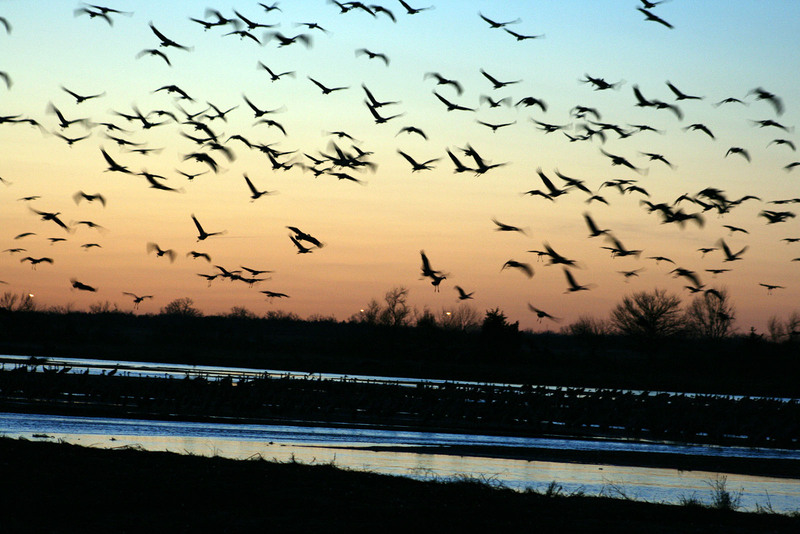 There are three places nearby that are worth a stop: Ft. Kearney, Pioneer Village at Minden, and the Great Platte River Road Archway which straddles across the interstate just east of Kearney. 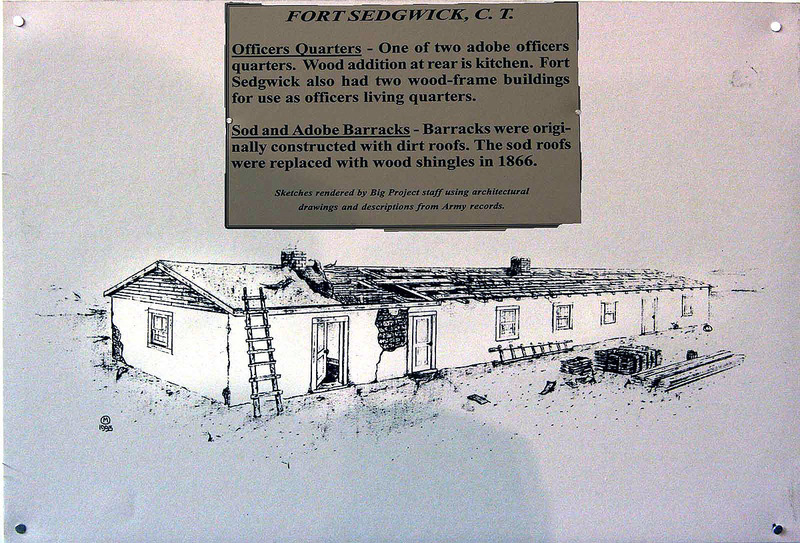 Fort Kearny, named for the explorer, General Stephen Kearny, became an important outpost for emigrants heading west. 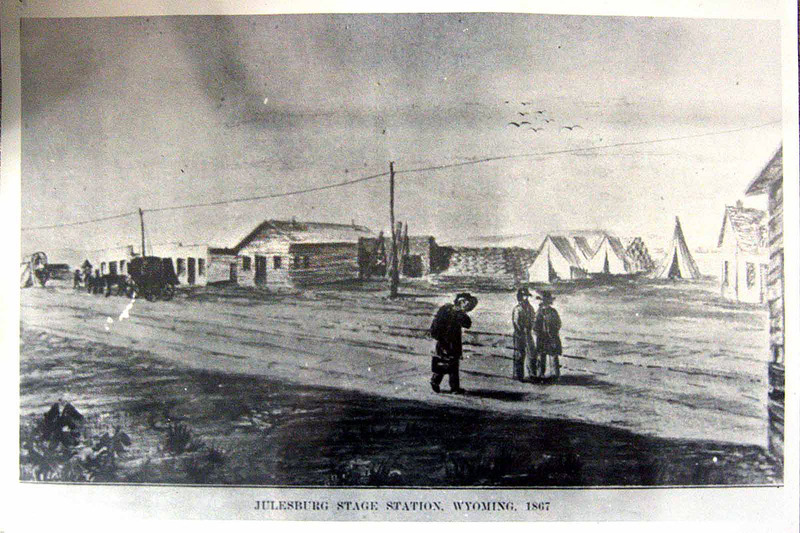 It was an army post, supply station, stage and pony express station, mail center, and a telegraph center. 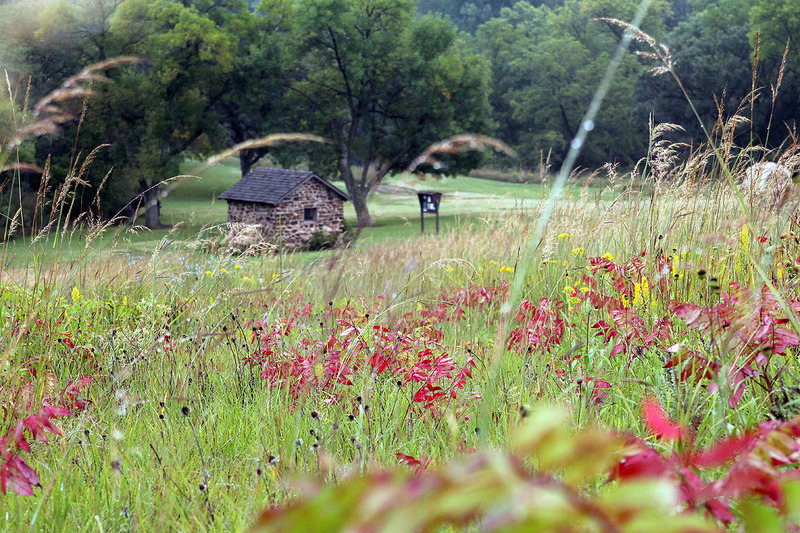 During its heyday in the 1850’s as many as 2,000 settlers and 10,000 oxen passed through it each day. 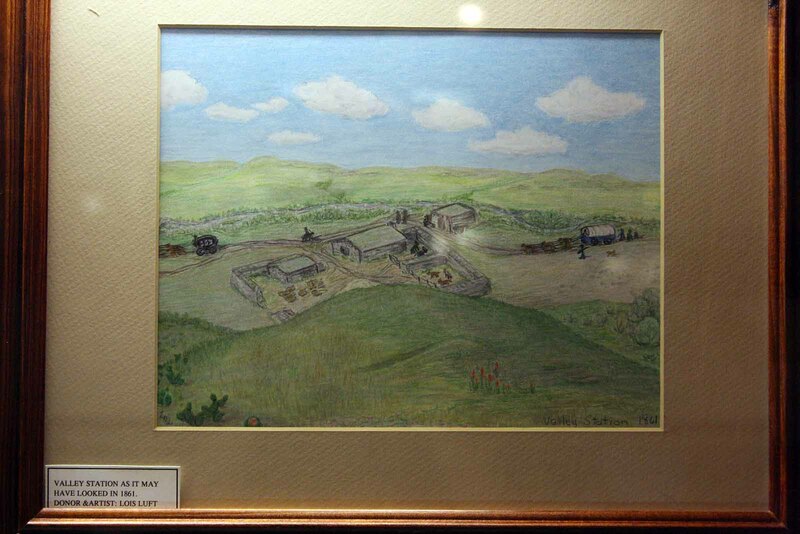 There were about thirty buildings on the site before it closed in 1871 after the rail lines came through. 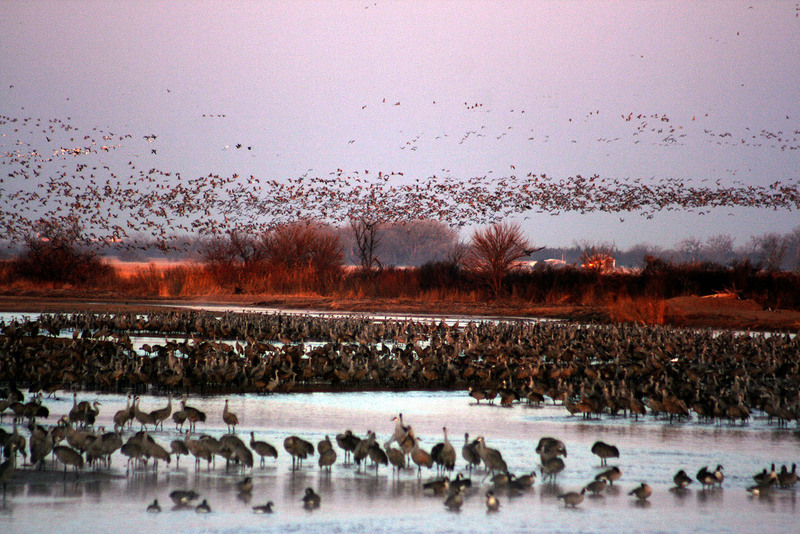 It is totally worth a stop and only a few miles east of the Rowe Sanctuary. 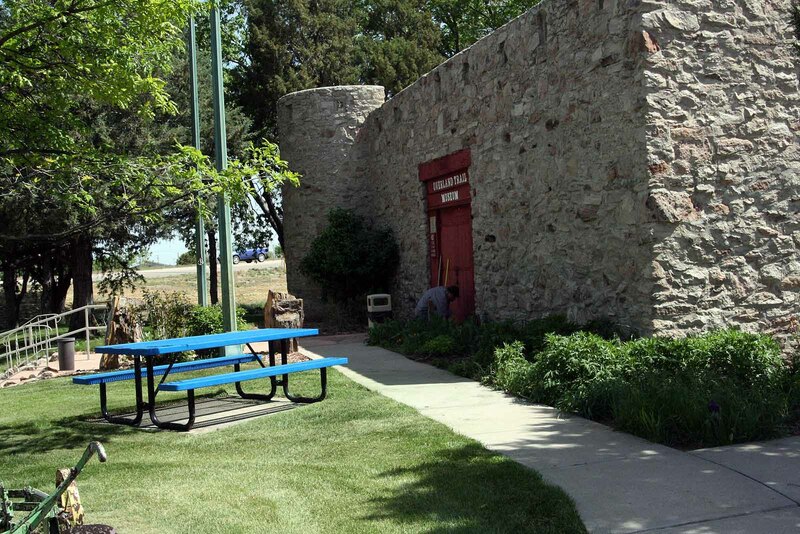 The Great Platte River Archway is a museum on two levels built over top the freeway and its hard to miss. Inside you experience the feeling and emotion of emigrants heading west. Jack Nicholson expresses this when he stopped while traveling from Omaha to visit his daughter who lived in Denver om the movie “About Schmidt”. We didn’t make time for Pioneer Village but promise we will on the next trip. 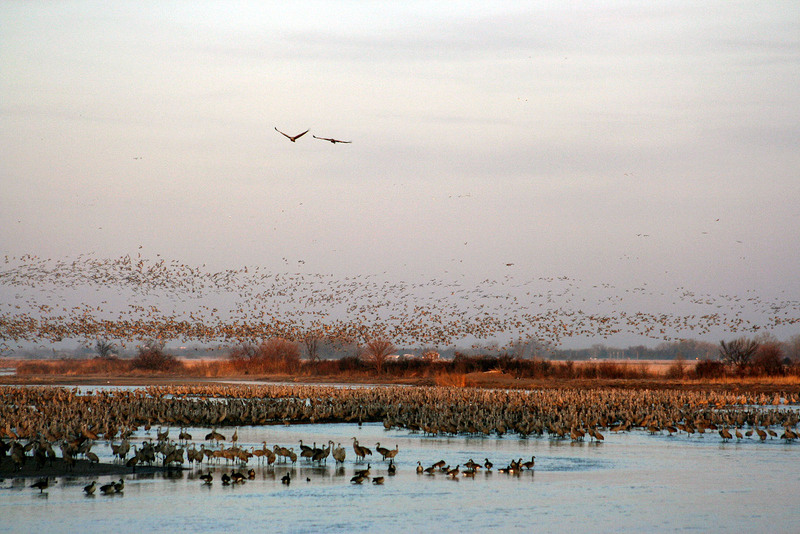 After we returned we had a friend say that it was their favorite place to visit in Nebraska. 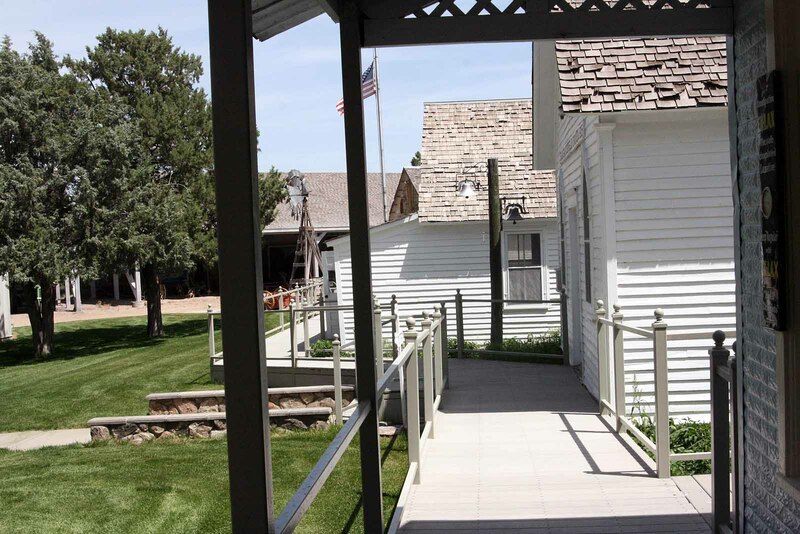 According to the website it has around 50,000 irreplaceable historic items in operating condition, a pony express station and a number of original artworks such as painting by Jackson and prints of Currier and Ives. A few stops along this road help tell the story traveling here east to west. 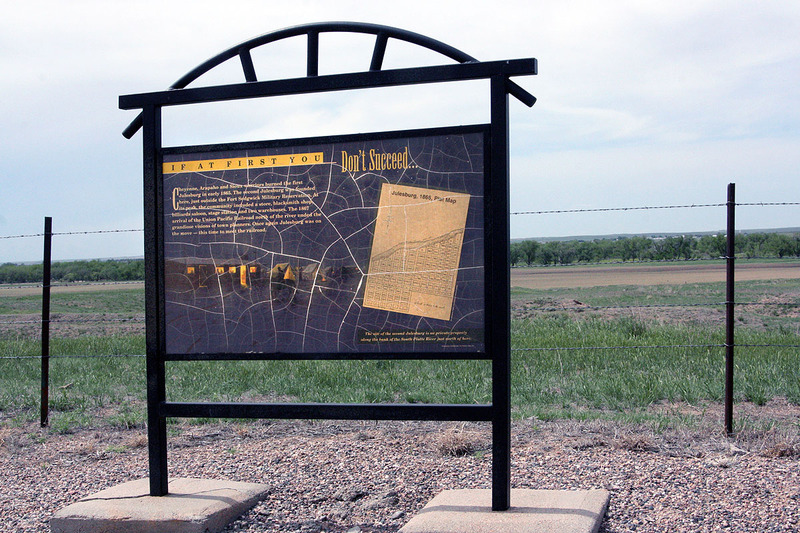 Markers at the Cozad rest stop both help tell the wagon train story. Most routes west were on the south side of the river where I-80 is. 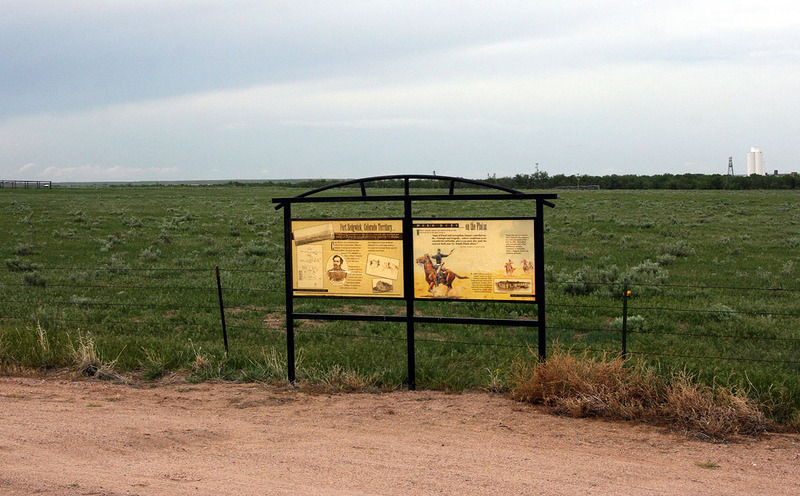 I recommend a stop at Cozad to see the 100th meridian marker. Major John Wesley Powell in his report for the United States Geological Survey recognized the 100th Meridian as the natural demarcation line between the humid east and the arid west. Further west is a pony express station at Gothenburg that we need to make a stop at next time. 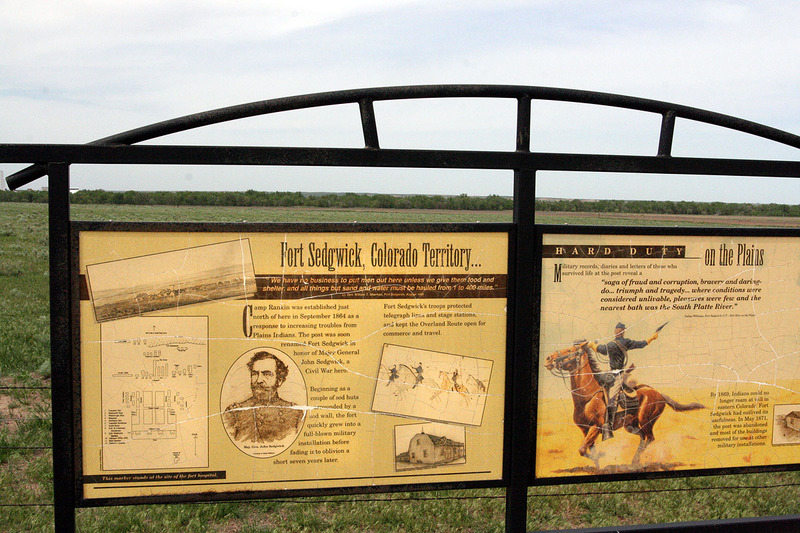 The site of Fort McPherson just west of Maxwell is an important connection to many pioneer events including the early Yale Paleontology expeditions. 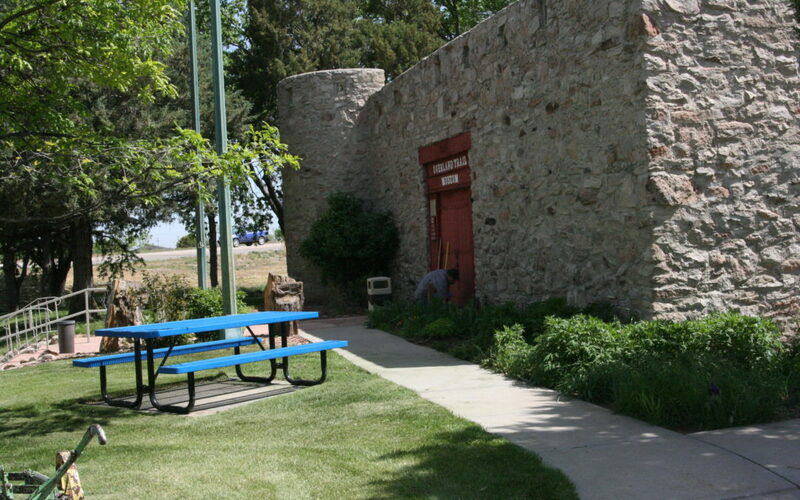 There are a series of historic sites on the northwest side of North Platte Nebraska including Buffalo Bill Ranch State Historic Site and a Western Historic Village. North Platte is where the South and North Platte Rivers come together. 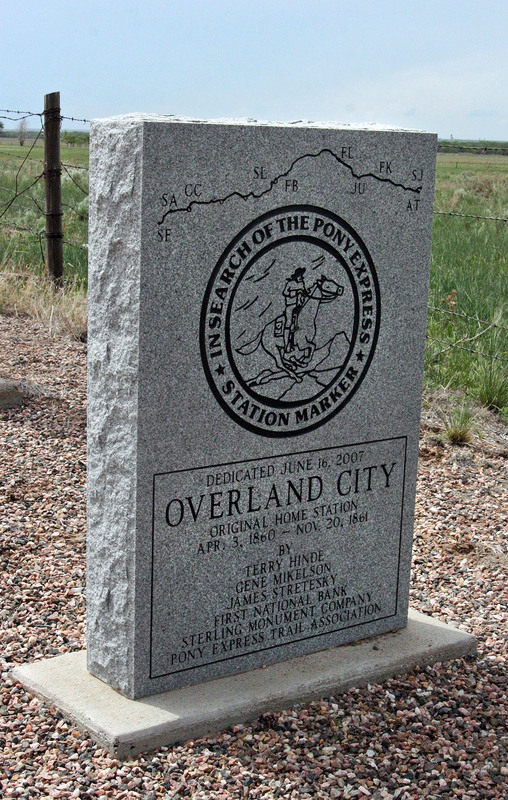 From this point forward to Denver we will be on the Overland Trail although we continue on I-80 until we are about to Julesburg Colorado. Although it is not on the Overland trail but along the Oregon Trail, a highly recommended stop is Scottsbluff National Monument. In addition to their quality story on western emigration, they have an outstanding collection of Henry Jackson photographs, sketches, and paintings. 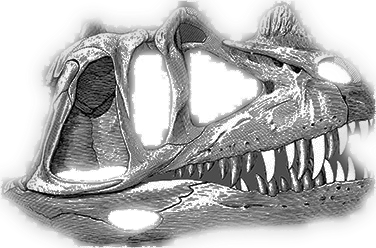 Henry Jackson is someone that seems to have an overlap with Marshall and Amanda in many ways. 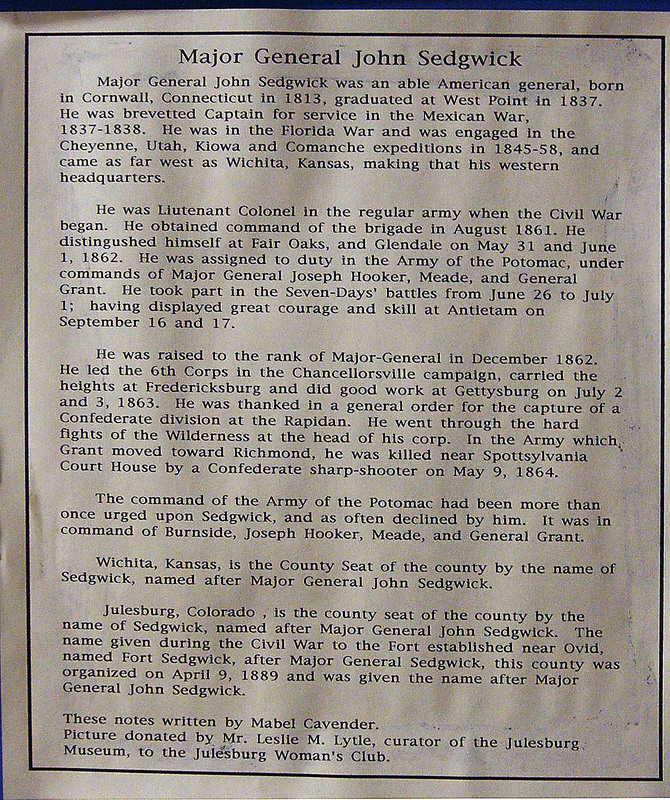 He did extensive work in Colorado, came west about the same time, and began his career as a civil war soldier from Vermont. 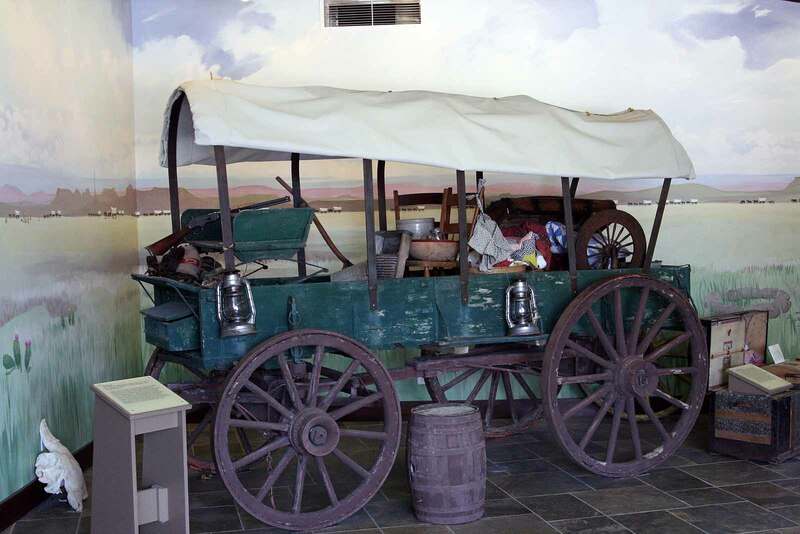 There are three good places to experience the Overland Trail: Fort Sedgwick Museum, the Overland Trail Museum, and Fort Vasquez. We’ve not made it to Fort Vasquez just south of modern day Greeley yet. This excellent small town museum has a nice array of features. 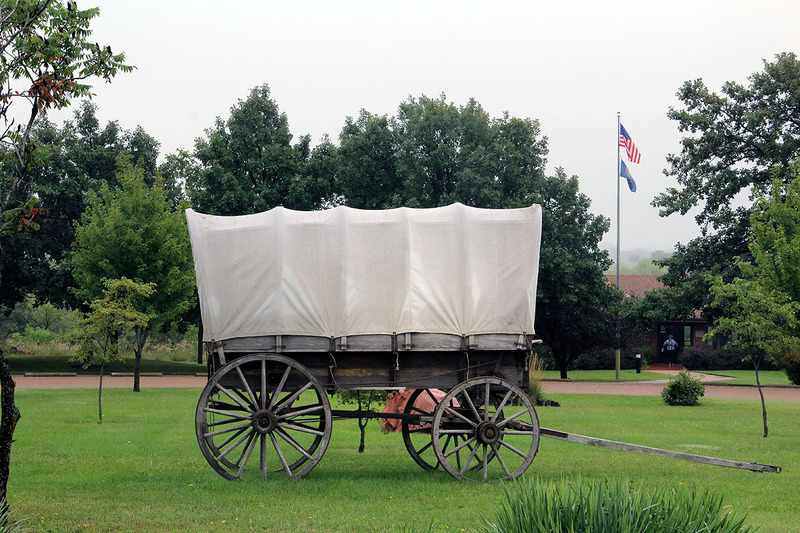 The museum was named after the Overland trail stage route that was a branch of the Oregon Trail in Nebraska. 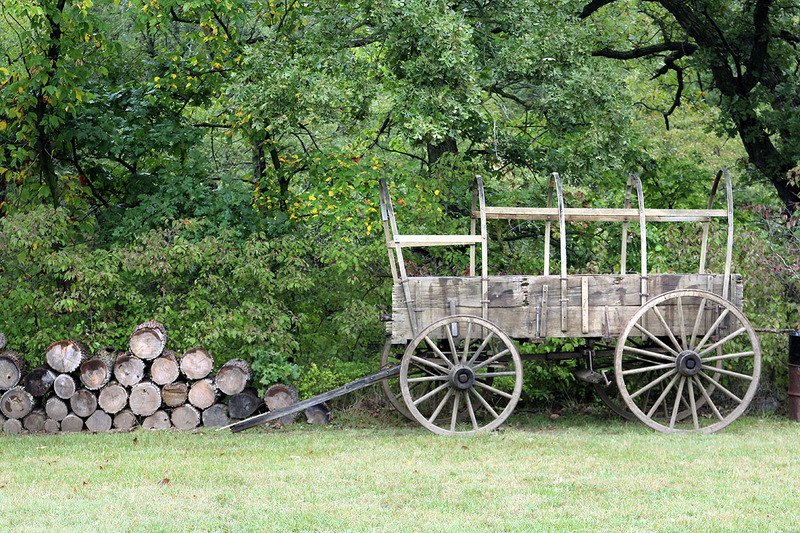 It has an excellent display of wagons and associated pioneer “stuff” along with a reconstructed historic town. 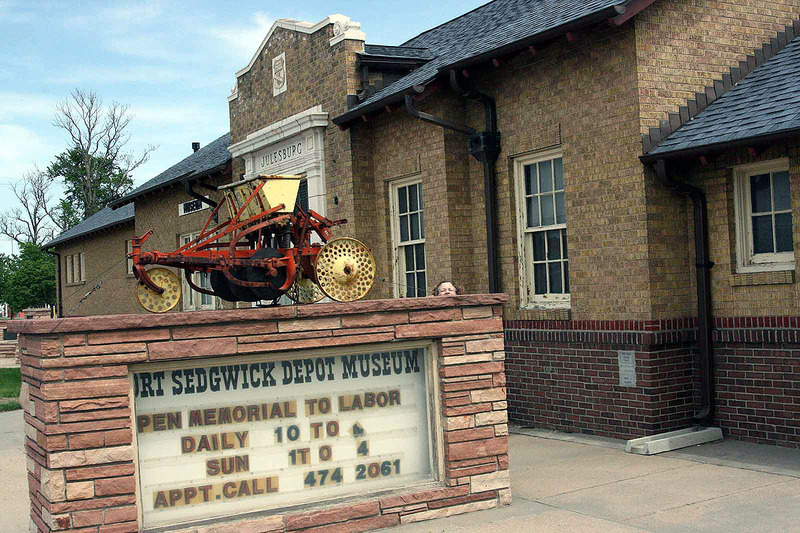 There are actually two small facilities in The Depot Museum and the Fort Sedgwick Museum. They are relatively close together and make for a fairly quick stop to gain a perspective on this part of the trail. 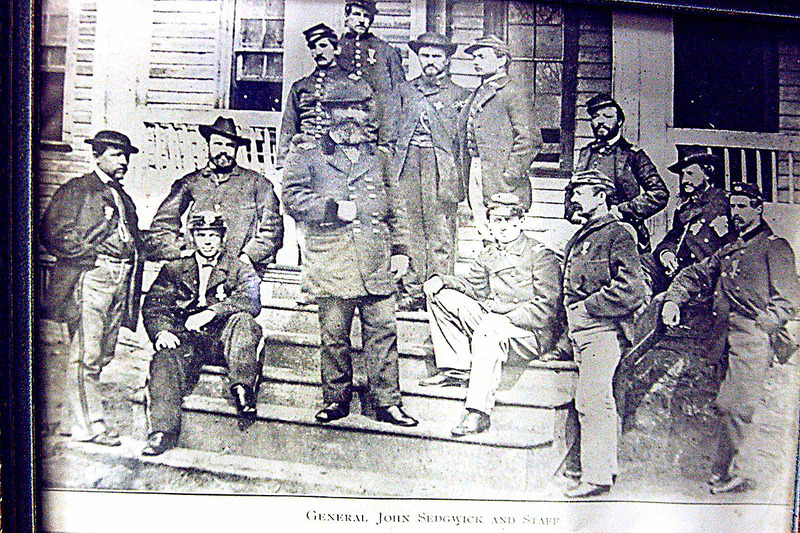 It was not exactly one of the nicer places along the route in 1866 with the fort sometimes called a hell hole at the time. 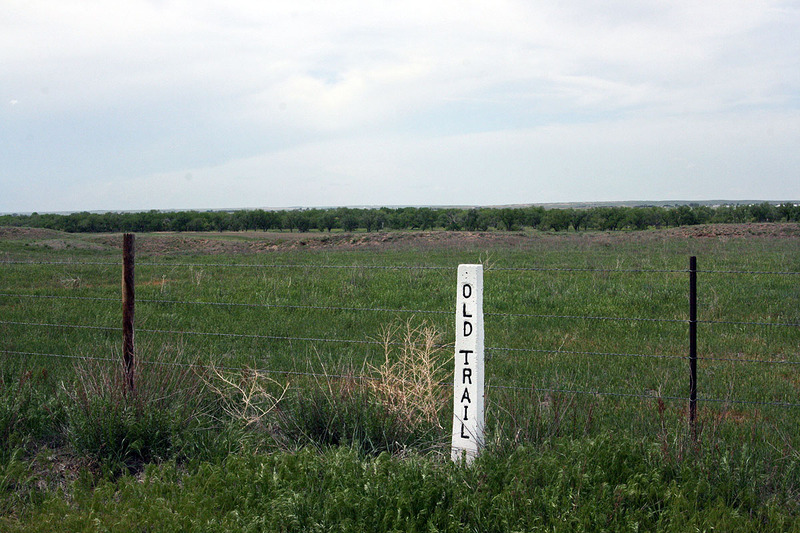 If you get off the freeway and take the old state highway you will see a few trail markers along the route.